Rohit T. “Rit” Aggarwala leads the sustainability practice at Bloomberg Associates, a philanthropic consulting firm that serves city governments, and is a Professor of Professional Practice in International and Public Affairs at Columbia University. He also co-chairs the Regional Plan Association’s Fourth Regional Plan for the New York metropolitan area. Aggarwala served as Special Advisor to the Chair of the C40 Cities Climate Leadership Group from 2010-2013, guiding the organization’s strategic transformation into a global leader. During that period, he also developed the environment program at Bloomberg Philanthropies, which grew to a total of $145 million in grants under his management. Aggarwala served as Director of New York City’s Office of Long-Term Planning and Sustainability from 2006-2010, and led the creation and implementation of “PlaNYC: A Greener, Greater New York.” PlaNYC has been hailed as one of the world’s best urban sustainability plans, leading New York City to a 19% reduction in its carbon footprint since 2005. Prior to joining City Hall, he was a management consultant at McKinsey & Company. 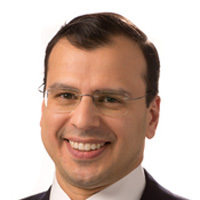 Aggarwala holds a BA, MBA, and PhD from Columbia University, and an MA from Queen’s University in Ontario. He was born in New York City, where he now lives with wife and daughter.